A love of music and a sense of its important place as a spiritual component of worship and community is deeply embedded in the life of Follen’s congregation. The music program is highly active, including the Adult Choir, a no-fault intergenerational choir, Youth Choir, and Children’s Choir. In addition, our Children and Youth Choirs stage a Gilbert and Sullivan Operetta each year, a 50+ year tradition at Follen. Our historic 1868 Hook organ is also very important to the musical life at our congregation. 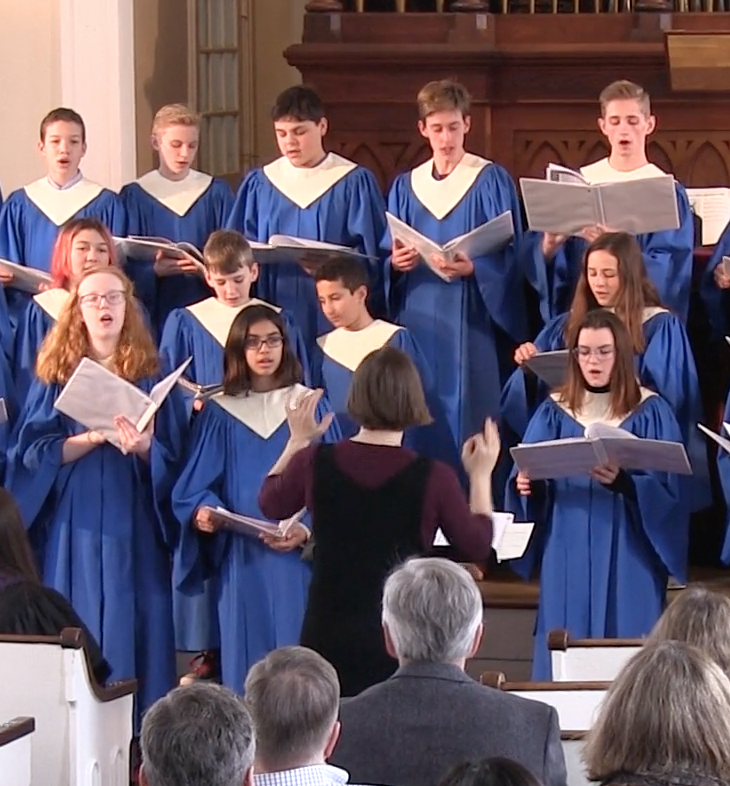 The music staff work closely with our minister and religious education leaders to integrate a wide variety of Unitarian Universalist, classical, modern, and folk music into worship services. The choirs draw from many musical traditions from around the world.